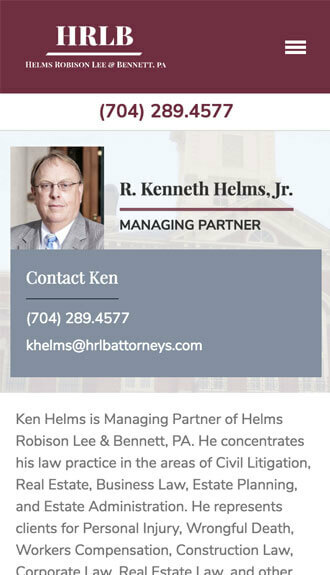 Helms Robison Lee & Bennett, P.A. has served the people of Union County, NC for more than 50 years. 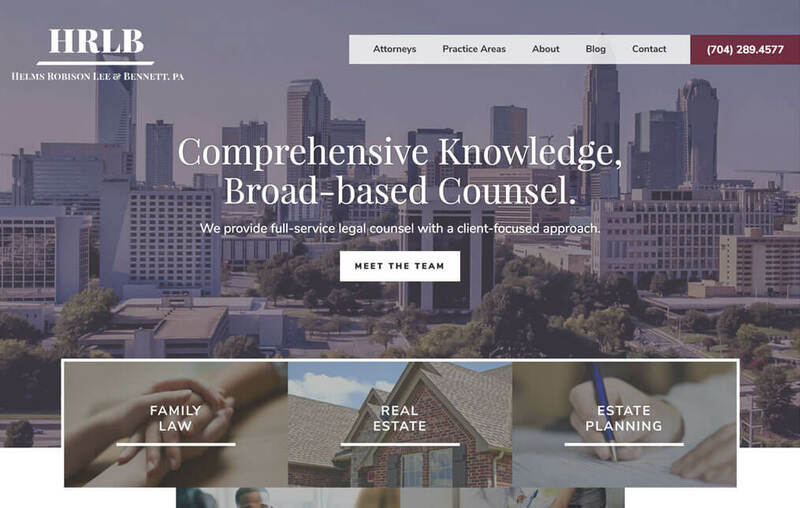 With a broad range of expertise, the firm helps resolve issues ranging from real estate, family law, personal injury, estate planning, to business law. 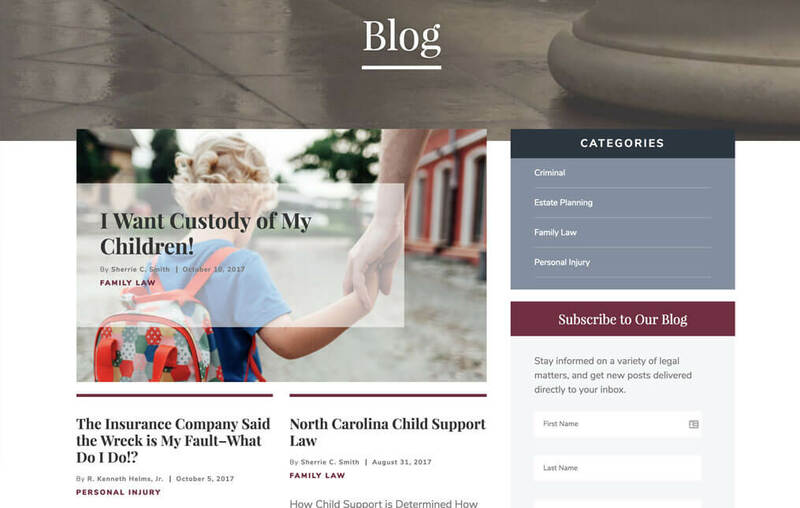 In order to connect with individuals on their comprehensive knowledge base, HRLB approached Beam & Hinge to design and develop a website centered around an engaging blog. Through an active blog, HRLB is able to communicate with a large audience on the mastery of its legal team. 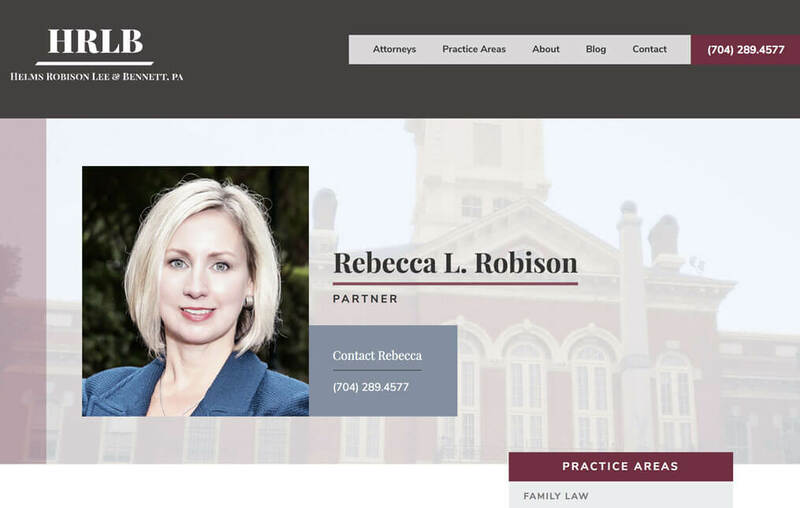 In addition, individual attorney profiles highlight the depth and expertise of each team member. 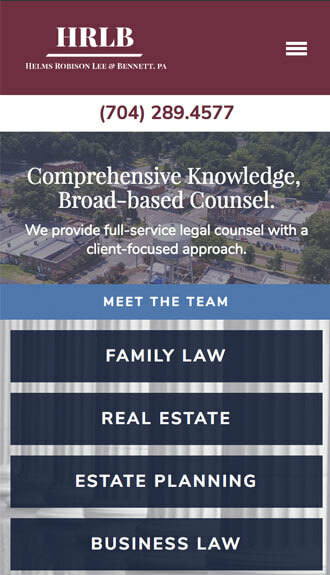 My law firm hired Beam & Hinge to completely redo our website. We are beyond pleased with the results. The team was wonderful to work with, supremely knowledgeable, ultra responsive, and completely in tune with helping us achieve our goals. I look forward to maintaining a relationship with Beam & Hinge for many years to come. 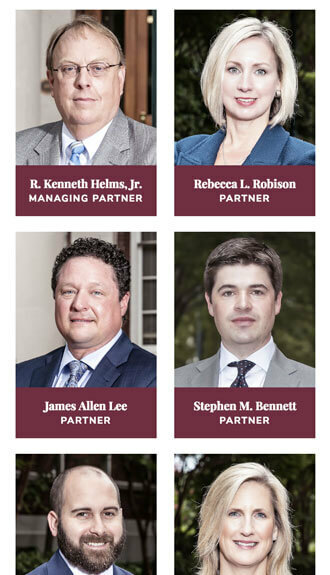 Stephen Bennett, Helms Robison Lee & Bennett, P.A.